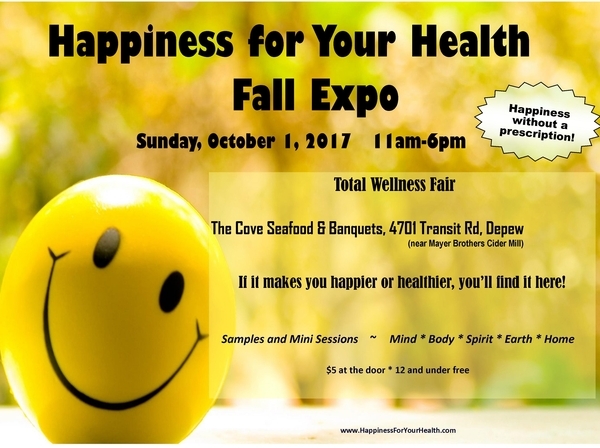 Bring your wellness questions and your shopping list to the Cove Banquet Center October 1st for the Fall Happiness for Your Health Expo. Total wellness fair for cleaner, leaner and happier living. If it makes you happier or healthier, it’s here! WEST SENECA, NY, September 27, 2017 /24-7PressRelease/ — If you have always been curious what all that ‘holistic stuff’ is about… or would like to get a leg up on some “happiness shopping,” head over to the Cove this Sunday. The Happiness for Your Health Spring Expo will be held this Sunday October 1st from 11am til 6pm at the Cove Seafood and Banquets, 4701 Transit Road, Depew, just a couple blocks from Mayer Brothers Cider Mill in West Seneca. Meet several dozen of Western New York’s “heart-based” small businesses, whose focus is on individual and family wellness; and the local chapter’s Holistic Chamber of Commerce President, Paula D’Amico (who is also presenting). Whether it be physical, emotional, spiritual, or total health; meet, learn, and sample with holistic wellness, therapeutic and healing professionals. If you’ve wanted to get any type of reading, there will be a diverse variety of readers on hand. Many businesses will be offering “mini session” specials for purchase. 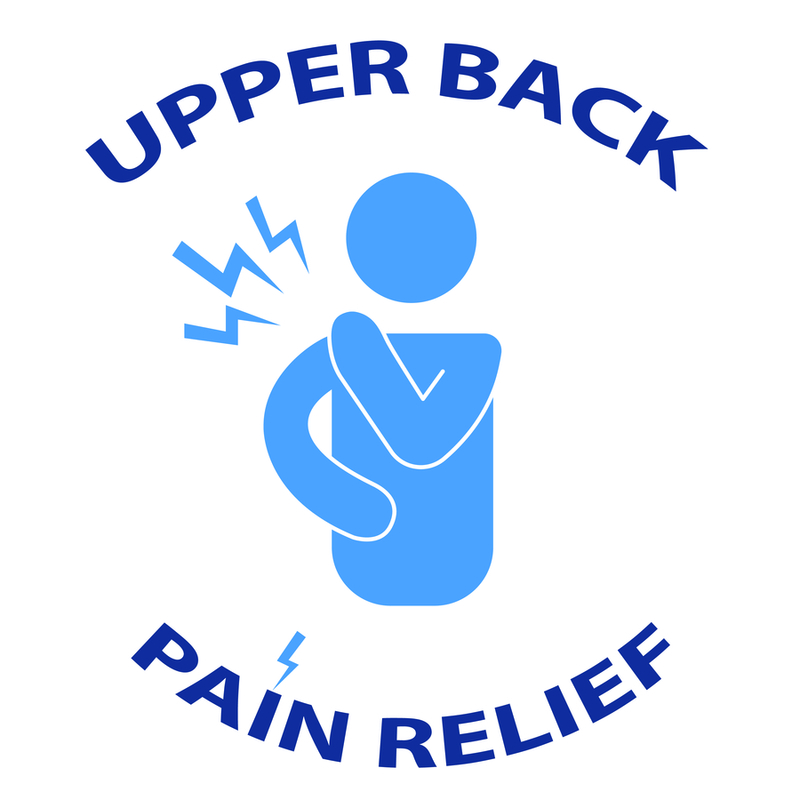 Choose from options such as chair massage, a healing session, Reiki, mini-reads, among other offerings. Meet staff from WNY Chiropractic, Sole Care Foot Treatment, and Camille Jarmusz from Natural Image Care with organic healing skin care and Age Reversal and Weight Release Hypnosis. Shop for items to beautify yourself and your home including some handcrafters and jewelers, great for those one-of-a-kind gifts and clothing and accessory items too (Honey and Lace, Gardens of Eternity, Kat’s Closet, Paparazzi) and you can open a live oyster for pearl jewelry (Perfectly Pearly with Me). Handmade soaps, scrubs, skincare products, natural cosmetics, supplements, essential oils and diffusers, healing crystals, gemstone jewelry, angel jewelry and those ever popular LuLaRoe leggings will be available. For the home or office: inspirational art, signs, aromatherapy products, essential oils, Himalayan salt lamps, bath bombs (Mindfully Whole), Orgonite Pyramids (Lenny Revell), candles, natural cleaning products (Norwex), healthy drinking water product options and air purification systems (Green Armour). The Cove’s kitchen and bar will be open, offering delicious food and beverage items available for purchase. There is a $5 admission at the door which gets you a free ‘goody bag’ while supplies last, sponsored by Western New York Chiropractic LLC, Dawn Lynn the EveryDay Medium, Kat’s Closet and the “You can! with Suzanne” television show. Admission also includes informative presentations and workshops being offered throughout the day. For that hard-to-buy-for person on your list, many of the businesses on hand Sunday offer gift certificates. Family-friendly, though the event is not geared towards children. Those 12 and under are admitted free.